← Can Mobile Broadband Bite into Fixed Broadband? I’d like to know how this test was conducted. 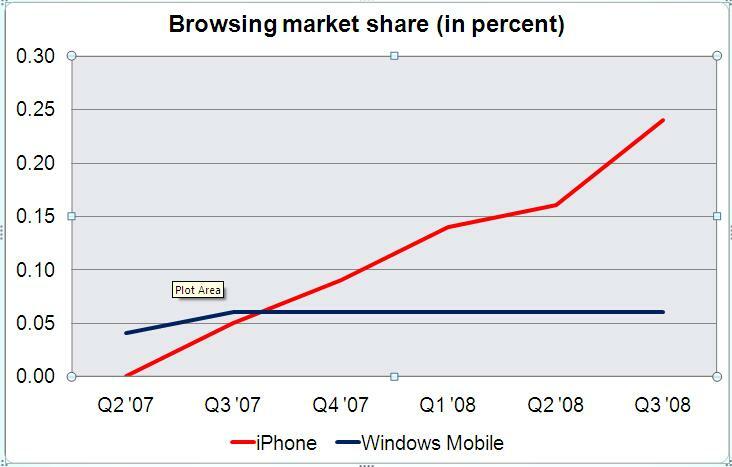 A very small minority of Windows Mobile users actually use the stock pocket IE that comes with the OS when browsing. Most WM users will opt for more robust desktop-style browsers, such as Opera Mobile, Picsel, Skyfire, NetFront, Thunderhawk, even the java based Opera Mini, etc… All of which offer the ability to identify itself as a Mozilla/Internet Explorer client running on Windows XP, just in the case the web page you are accessing demands that as a prerequisite (many sites have browser and OS detection code to stop you if they think your setup isn’t compatible). Honestly, these results are a little bit staggering, and excuse me if I find it hard to swallow especially considering the world market as you described. It sounds to me more like they found a very small percentage of WM users are actually using the painfully weak stock IE on a mobile device, whereas all 100% of iPhones are forced to use the built in Safari browser.